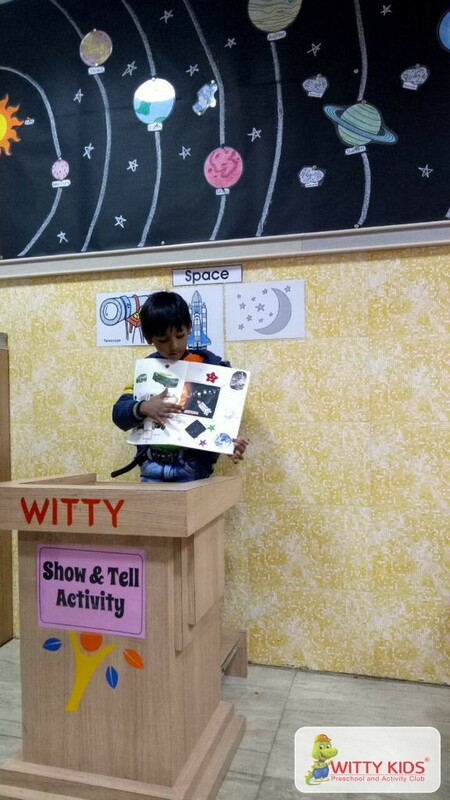 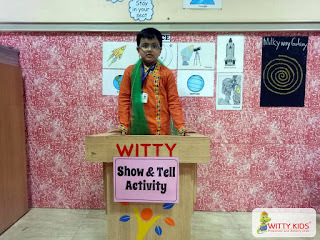 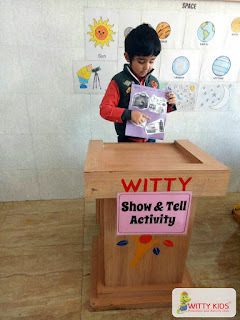 On Thursday 25th January, 2018 Wittians of Sr.KG at Witty International School, Udaipur enjoyed Show and Tell Activity on the topic “Space”. They stuck pictures of things they would like to take to space. 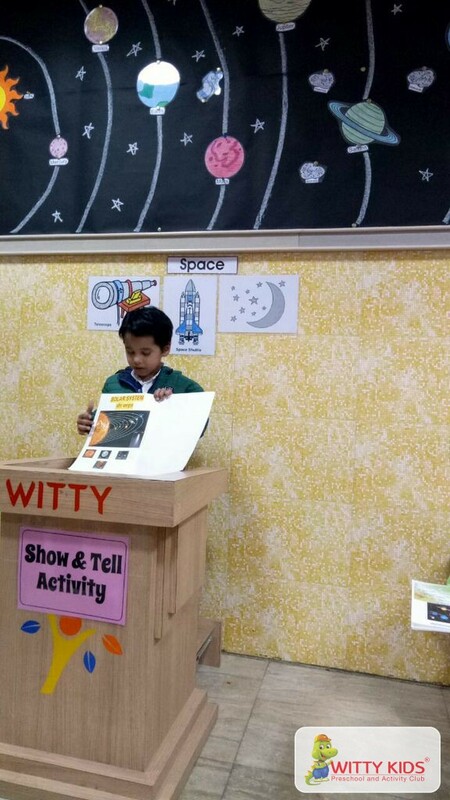 Children enjoyed speaking a few lines on space & tried describing the planets. 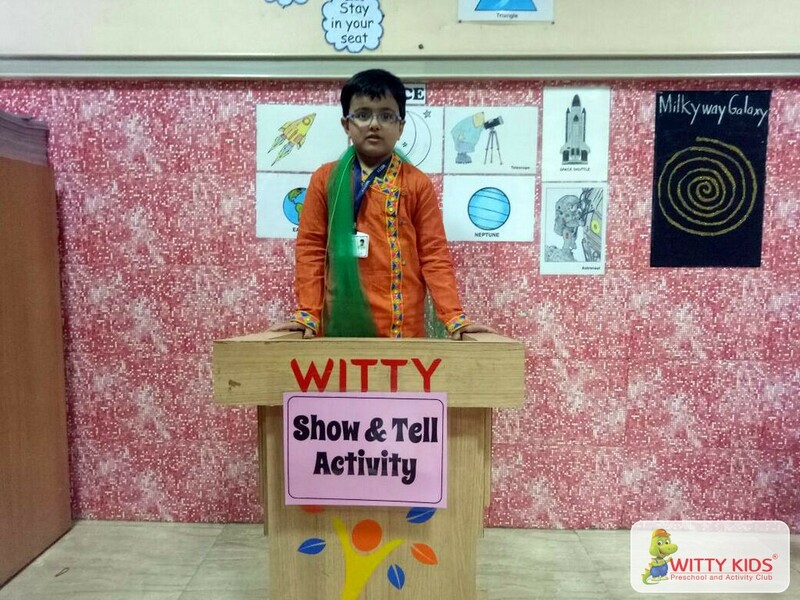 Kids spoke about the smallest planet, Mercury, The largest planet, Jupiter, The brightest planet, Venus and the only planet where life sustains, Earth. It was an interactive and informative activity where in kids learnt about our Solar System.